My pathological, non-healthy and recurring interest in religion called Cold Fusion (LENR, CANR, pick your ju-ju) led me to read a blog post by one Russ George. At least I suppose that’s his name, but I could not really find his personal details anywhere within the site in question , so I cannot be sure. If I read this correctly, there is an ongoing campaign, run by the cold fusion denialists, devised in cold blood and on purpose. Most importantly, the activity seems to be in grave violation with the very essence of humanity. Now, if that is true, I must be a really, really bad person. 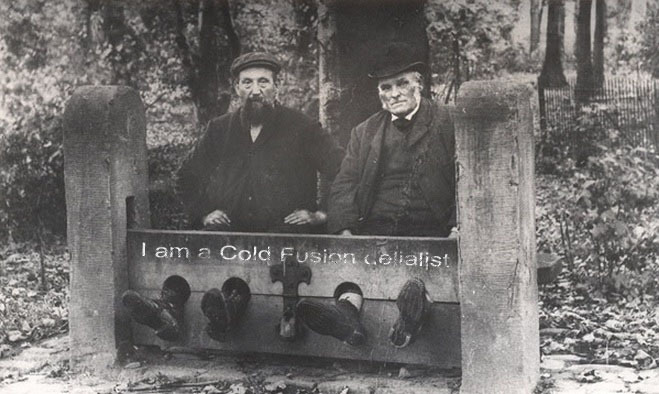 I have previously suggested, that if not stoned to dead, the cold fusion denialists should be punished in the stocks. This entry was posted in Cold fusion and LENR, Complete nonsense by tyy. Bookmark the permalink.